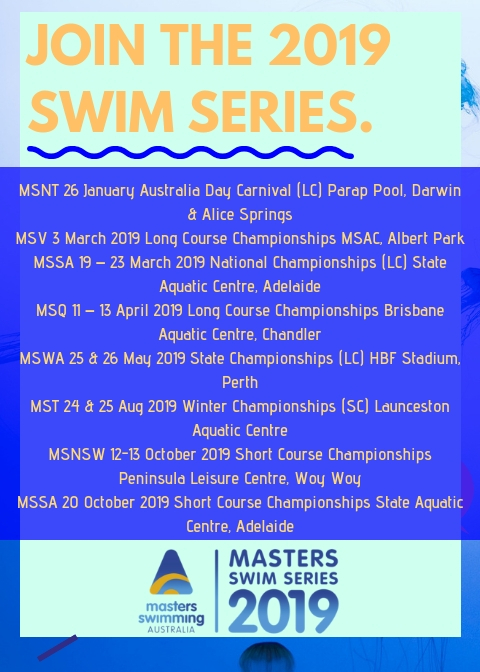 The MASTERS SWIMMING AUSTRALIA NATIONAL SWIM SERIES boasts a mix of Long and Short Course meets across Australia. It rewards members’ participation and performance in any of the Meets, with members only needing to swim two meets to be eligible for prizes. The more Meets you enter, the better the multiplier for your points. 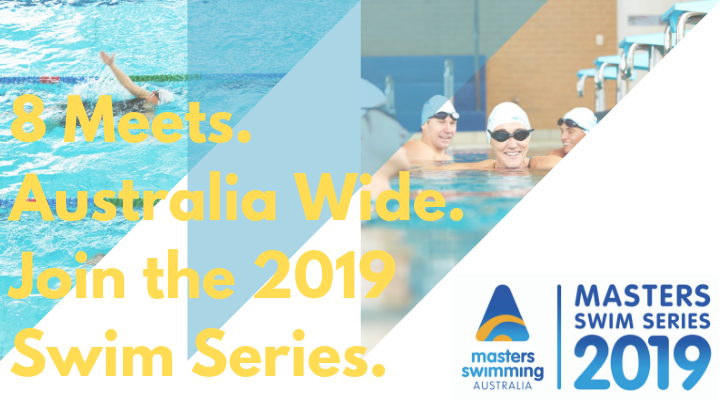 Eight meets make up the MASTERS SWIMMING AUSTRALIA 2019 NATIONAL SWIM SERIES – the highlight being the 2019 NATIONAL CHAMPIONSHIPS, to be held in Adelaide and one nominated meet from each of the Masters Swimming Branches. So if you want to travel Australia, make new friends and swim at any of the eight pool competitions throughout the 2019 year, we would love to see you.